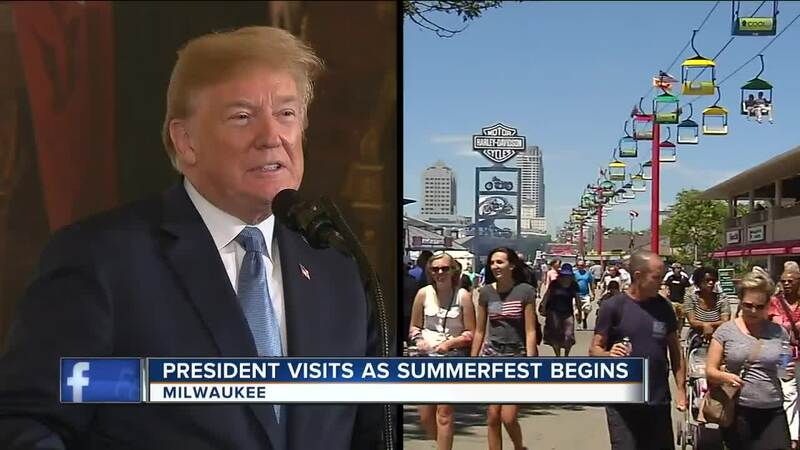 MILWAUKEE -- President Donald Trump will be visiting Milwaukee for an overnight stay starting late Wednesday night at the Pfister Hotel, the same night Summerfest opens at the lakefront, which will likely cause some traffic headaches downtown. The president is in town for the Foxconn groundbreaking event on Thursday, and his motorcade ride will require street closures, according to a news release from Alderman Robert Bauman, whose district includes downtown. Meanwhile, thousands of spectators will be looking for a spot to view the Big Bang fireworks display that ends the events for the opening day of Summerfest. 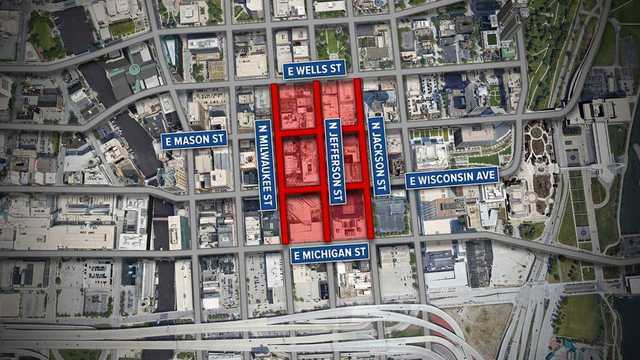 Bauman suggests Summerfest guests and fireworks spectators take public transportation to try to reduce the number of vehicles in the area Wednesday night. Pedestrian traffic on these streets may be limited as well. No parking signs will be posted and are effective at 6 a.m. on Wednesday. For more Summerfest transportation and parking news, click here.